"A lady should enjoy those hot summer nights..."
For three lovely ladies in Regency England, the long, hot summer holds the opportunity for decadent pleasures, wicked pursuits, and forbidden passion. The Marquess of St. Clair has long been a thorn in Daphne Summerville’s side. But when she is forced to act as his nursemaid after a bizarre accident, Daphne discovers that the Notorious Marquess has sensual talents she never knew existed. 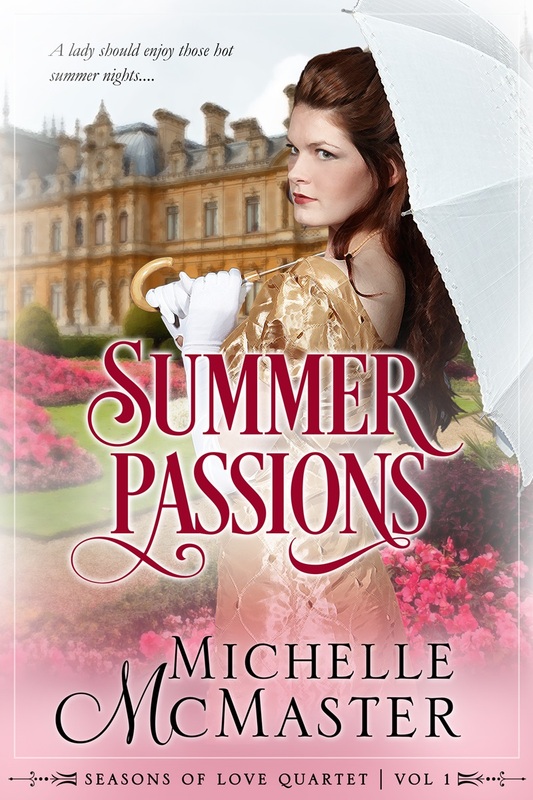 Lady Ashton’s friends finally convince her to take a lover for the summer. At a wicked masquerade ball, she meets a mysterious man who fires her passions and turns her world completely upside down, threatening all she holds dear. Jilted by her intended, Lady Althea Ramsay calls in a favor from her brother’s friend, the Duke of Wakefield. He will pose as her fiancé at a society wedding which the odious man will be attending. But Althea soon discovers that playing a part can set real desires burning in the human heart.